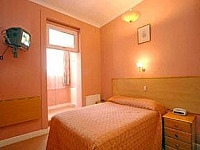 Surtees Hotel provides cheap hotel accommodation near Victoria Station and Buckingham Palace. 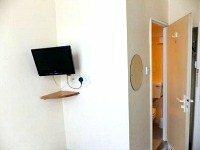 All of the centrally heated double, twin, triple and family rooms have basic facilities, including a hairdryer to keep you looking smart, a colour TV to keep you entertained and a hospitality tray to keep you hydrated! 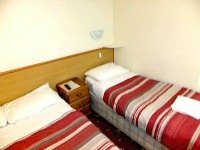 Many rooms at Surtees Hotel have a compact shower and WC, but you can book a cheaper room with access to shared facilities. 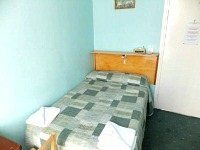 Whatever your choice, you’ll have 24 hour access to your room. 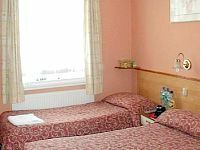 Surtees Hotel is a family-run budget hotel that offers great service and a friendly welcome. The 24 hour reception has plenty of tourist information and there is also a fax machine available. 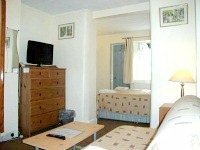 In the mornings you can enjoy continental breakfast in the breakfast room at Surtees Hotel before heading out to explore the sites of the local area, such as Westminster Cathedral and Tate Britain. 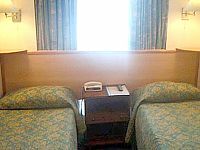 On your return you can relax in the television lounge and chat to your fellow guests about your exciting day. Surtees Hotel is within easy walking distance of Buckingham Palace, which opens its doors in the summer months for tours of its impressive State Rooms. 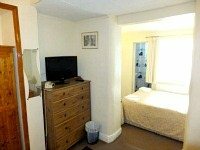 The beautiful greenery and lake of St James’s Park is also just a short stroll away, as is Westminster Cathedral, which offers panoramic views from its campanile. Shopaholics will find the Kings Road nearby, which has a range of designer boutiques. Culture vultures will enjoy the hotel’s close proximity to the artworks on display at Tate Britain. Pimlico Tube Station (served by the Victoria Line) and Victoria Tube Station (served by the Circle Line, District Line and Victoria Line) are the nearest stations to Surtees Hotel. Leave Pimlico Tube Station via the Bessborough Street exit and turn right. Follow this road round and it will become Belgrave Road. When you come to Warwick Way turn left onto it and you will come to Surtees Hotel on your left. Leave Victoria Tube Station via the Victoria Street exit and turn left. Turn left again immediately onto Buckingham Palace Road. When you come to Eccleston Bridge turn left onto it and this will become Belgrave Road. When you come to Warwick Way turn right onto it and you will come to Surtees Hotel on your left.